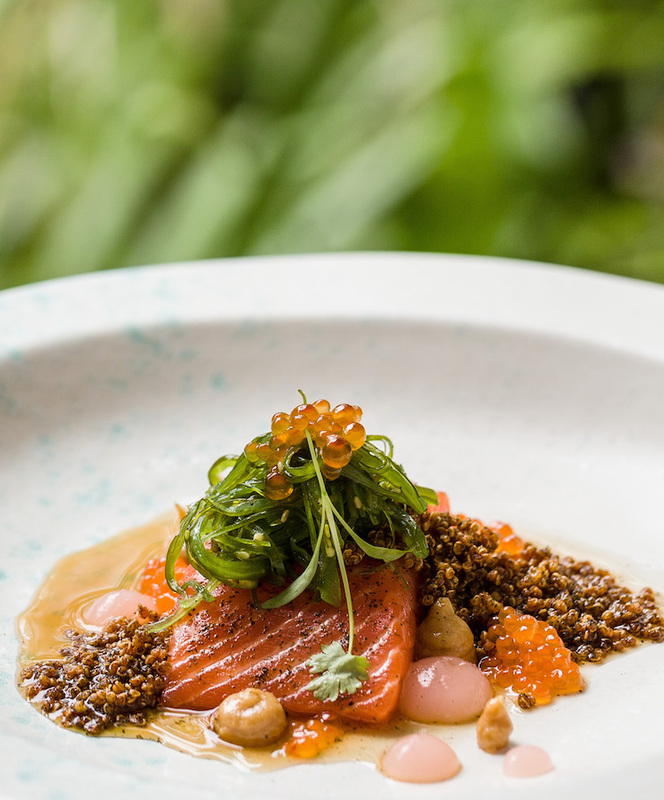 Set to the backdrop of rugged coastlines and lush hinterland, let us introduce you to the Sunshine Coast’s new four-day food festival, The Curated Plate. Taking place August 8-11, The Curated Plate brings together world-class chefs to deliver a fine dining experience like never before. There’s a number of exclusive culinary events to choose from throughout the festival, each celebrating sustainable and locally-sourced produce. And though the festival is a few months away, we've partnered with The Curated Plate to give you plenty of time to plan your well-deserved seaside escape to the Sunshine Coast. It’s never too early to start planning, right? Housed within a luxury country estate overlooking Mount Coolum, you’ll be treated to a lavish three course long-lunch set to the backdrop of mountains and lush rainforest. The menu has been meticulously crafted by celebrated Australian chefs Peter Gilmore and Analiese Gregory, with a focus on local and sustainable produce, all paired with fine wine. Peter is one of Australia’s most awarded Chefs and has been at the helm of Sydney’s famed Quay restaurant, since 2001. Analiese is Head Chef at Hobart’s two-hatted Franklin restaurant and previously worked alongside Peter as Sous Chef at Sydney’s Quay restaurant before heading to southern France to work at a Michelin Star locale. With a dream pairing like this, you know you’re in for a delicious time. You’re invited to experience local artisan culture and dine on the freshest ingredients from Sunshine Coast producers at this magnificent showcase of culinary art, all prepared by some of the world’s very best Chefs. England’s Raymond Blanc OBE (Belmond Le Manoir aux Quat’Saisons) and two Australian-based prodigies, Alejandro Cancino (Lola’s Pantry) & Troy Rhoades-Brown (Muse) join forces to deliver a delicious and totally exclusive menu. 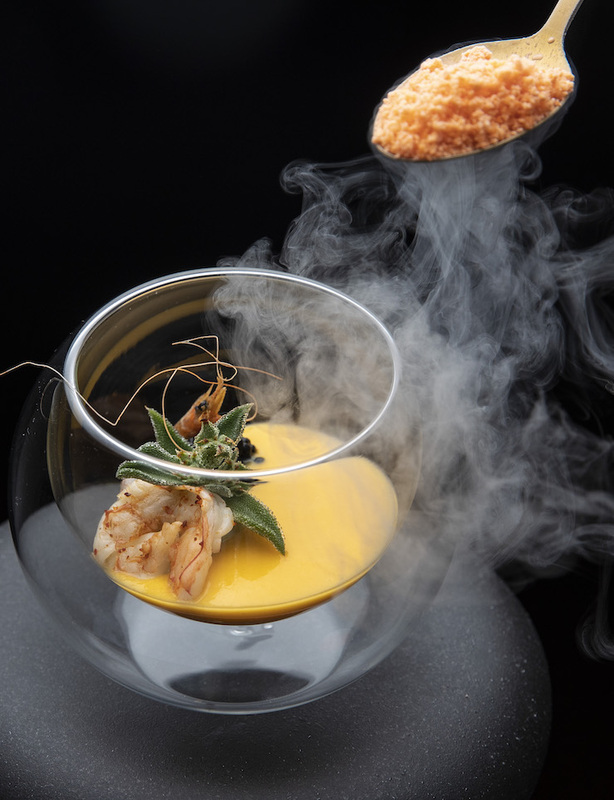 This is an exclusive multi-sensory, four-course lunch constructed by three world-class Chefs: Raymond Blanc OBE, Nelly Robinson and Alejandro Cancino. Taking place at the magical Weddings at Tiffany’s, this venue provides one of the most stunning vistas of the surrounding hinterland. Prior to being seated for lunch, you’ll be taken on a tour of the grounds as an acoustic artist plays in the garden It’s going to be pure magic. The cheffing talent is outstanding to say the least. International Chef Raymond Blanc OBE (Belmond Le Manoir aux Quat’Saisons) has retained two Michelin Stars at his Oxford restaurant for over 30 years, and is joined in the kitchen by Nelly Robinson, owner of culinary progressive Sydney restaurant, nel. Alejandro Cancino (ex-Urbane in Brisbane) also joins the fold and brings with him a love of sustainable and drool-worthy plant-based cooking. Be sure to grab tickets to Wild Forage Dining for an incredible four-course dinner, with each dish a vibrant representation constructed from the best wild and locally sourced produce. Join Zaiyu Hasegawa, whose restaurant Den was voted Best Restaurant in Japan (Asia 50 Best Restaurants 2018 and 2019), Chase Kojima of Sydney’s hatted restaurant Sokyo & the Gold Coast’s Kiyomi, and Matt Stone, joint executive chef of Yarra Valley’s hatted Oakridge Estate restaurant, as they prepare a delicious celebration of local produce. This is fine dining like never before. The Regional Evolution menu will be a unique and totally ‘grammable showcase of the Sunshine Coast’s premium local produce. Think: fresh fruit and vegetables, local meat and poultry all served in a restaurant on Mooloolaba’s foreshore. The menu has been developed by culinary expert, Clayton Wells, of two-hatted Automata, and Sunshine Coast local Nick Blake, owner of Wild Forage Australia, who will join Monique Fiso, owner and Head Chef of Wellington’s Hiakai to plate up four forage-focused dishes. International culinary talent, Zaiyu Hasegawa, the Chef behind two Michelin-starred haute-cuisine Japanese restaurant, Den, joins forces with awarded chef, Daniel Jarrett of The Tamarind, and head chef of Gelato Messina, Donato Toce. Together, this trio will take guests on a five course gastronomic journey from land to the sea, featuring hyper-local ingredients like seafood from Walkers Seafood Australia and seasonal-only fruits and vegetables, all matched with local fine wines. It’s a yes from us. The dinner is taking place at the luxury Spicers Tamarind Retreat, and there’s exclusive travel packages available to guests of this event so you can truly indulge. With a focus on pushing the limits of cooking to reveal flavour in its purest form, prepare your palate for a four-course menu crafted by three highly awarded chefs. Join New Zealander, Monique Fiso of Hiakai, Alanna Sapwell, seafood champion and ex-head chef of two-hatted Saint Peter, now head chef of recently opened Arc Dining and Wine Bar in Brisbane, and Analiese Gregory who heads up the acclaimed Franklin in Tasmania, for what is going to be an unmissable display of true culinary talent. In a true farm to fork experience, Clayton Wells (Automata & A1 Canteen), Matt Stone (Oakridge Wines) and Darren Robertson (Three Blue Ducks & The Farm) will prepare a Sunday lunch celebrating the delicious uniqueness of the feijoa fruit. Get a real taste for the region with a tailored travel package, which includes a totally luxury stay at Mantra Zanzibar. In what’s slated to be a magical fine dining experience like never before, be sure to grab your tickets to The Curated Plate before they’re gone. Editor’s note: This article is sponsored by The Curated Plate and proudly endorsed by Urban List. Thank you for supporting the sponsors who make Urban List possible. Click here for more information on our editorial policy.